Here at Tuffa UK we always have a steady demand for fire protected tanks. We see many of these tanks each week on the back of transporters leaving our yard. As a result these are destined for locations all over the country. 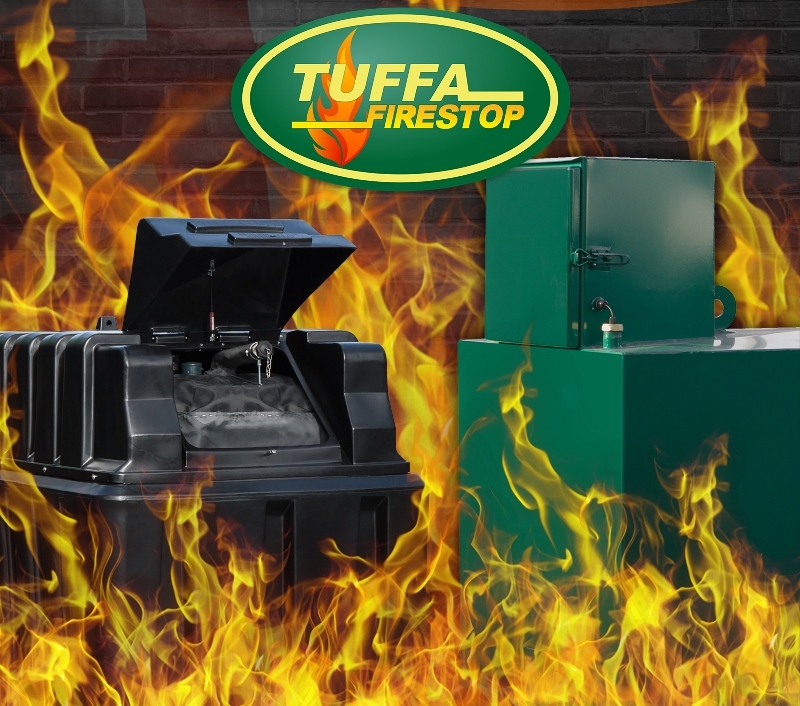 Why choose a fire protected oil tank from Tuffa? What fire protection do you offer? Specifically with regards to fire protection we offer thirty minute or sixty minute options. This particular tank generates a great amount of interest and our oil tank range remains very popular. What is the specification? For a 1350 bunded…. If you have specific requirements for your storage solution then let us know and we can see if we can accommodate your exact specification. In addition we offer bunded steel tanks. Again we can see if we can accommodate specific requirements and our flexible approach has helped many customers. If you require further information on our fire protected oil tanks please call us on 01889 567700, email us at [email protected] or fill in this form and we will get back to you.